Once you have decided that utilizing the Cloud is the right decision for your business, you will need to find the right data center provider. You are placing all of your important data or even your company’s entire IT infrastructure in this data center, so you must make sure that you choose the right one. Did you find the on-boarding process relatively easy to accomplish? What is the technical support like when you encounter problems? Have you personally experienced any serious security concerns or incidents? How have your security concerns been handled by the provider? If you are dissatisfied with any of the responses to these questions, you do not have to use that particular provider. Keep looking and asking questions until you find a data center that meets your needs and that makes you feel comfortable. Frequent system audits are also necessary in order to ensure that all data centers meet or exceed industry standards for data security. When you are searching for a cloud provider, ask potential candidates about their compliance to SSAE-16/SOC1. This set of standards measures the amount of control that a data center maintains over your sensitive data and financial information. An audit will report any flaws in data flow. You should also inquire about compliance to the Health Insurance Portability and Accountability Act (HIPAA). This regulation ensures the security and privacy of private health information that is stored or hosted in a data center. If your cloud provider’s datacenter is compliant with both of these standards, you can rest assured that your sensitive data will be monitored and its integrity will be maintained. Choosing to put your business information or IT infrastructure in a data center rather than housing it on-site is an important decision that requires careful vetting of your potential provider. Once you have chosen the right provider, you can trust that they will keep your company operational and important information secure. TurnKey Internet owns and operates its own private, SSAE-16 Certified, data center located in New York’s Tech Valley region. 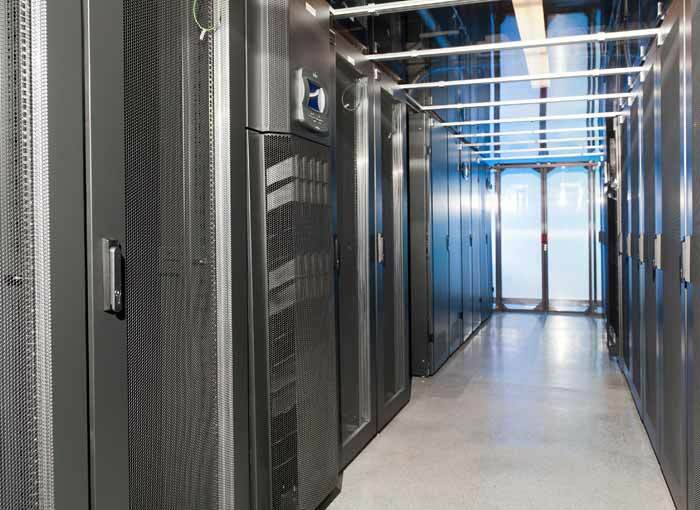 Owning our data center, we have been able to design, build and maintain every aspect of its construction to provide an ideal hosted server environment. This allows us to provide our clients fast, secure and reliable performance at all times. We’ve also been able to leverage the state-of-the-art in green technologies, making our data center among the most energy-efficient world-wide. Subscribe to comments with RSS or TrackBack to 'Finding the Right Data Center for Your Business'.